Browse content similar to 16/03/2018. Check below for episodes and series from the same categories and more! in his home on Monday. It appears he was strangled. Police are guarding his house. of the Russian spy Sergei Skripal. Vladimir Putin for the attack. likely that it was his decision. less than a week ago. other women to join them. 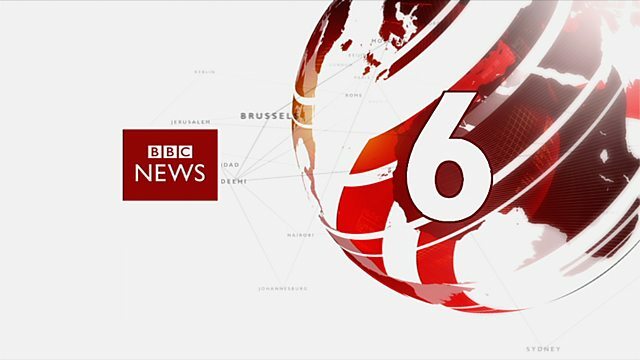 to the BBC News at Six. businessman in London on Monday. the death of Mr Skripal. a war fought in the air. involvement in the Salisbury attack. language of the Defence Secretary? known opponents of President Putin. Gordon Corera is with me now. with an intriguing past in Moscow. What more can you tell us about him? Steve Rosenberg is in Moscow. there to the developments here? in contact with the nerve agent. Duncan Kennedy is in Salisbury. says it is open and safe. of the nerve agent attack. down in terms of taking. The street are pretty much empty. Charity shops are also suffering. Just how bad is business? all the customers back in. I don't earn much at all. Underground train during rush hour. murderous plan in his head. on the London Underground system. his bomb on a timer left behind. above my head, singed my hair. around me on the train. People were diving off the train. on the train rather than a device. to cause maximum death and injury. known as Mother of Satan. London and went on the run. by coalition forces in Iraq. knew what his plot was. Hassan's house in Sunbury in Surrey. building a bomb in their kitchen. were not given his full story. but for which he felt only hatred. He will be sentenced next week. attack at that very time? programme, he was building a bomb. apologised to the foster couple. were not given the full picture. arms deal before he took office. as thousands flee for their lives. the territory from the rebels. at the scene since last night. Here's how the disaster unfolded. There's cars stuck under there. just shattering on top of the cars. the Gold Cup at Cheltenham. a year and it's growing fast. celebrated at their annual awards. Chi Chi Izundu went to meet her. It's an enemies to friends story. Four paws better than two, right? more chances for female-led stories. being an even playing field. The last of the dried supplies. Chi Chi Izundu, BBC News. by a Bob Marley song. struggling to pay bills and rent. here for a better life. She was a hard worker. and sister, she was attacked. to try to get away from the girls. what happened on the bus. you move out of my way. That's when she went into a coma. The family gave us these pictures. Police was investigating the case. Sima Kotecha, BBC News, Nottingham. and cub are doing well. cameras for a Channel 4 documentary. to win the Gold Cup at Cheltenham. to see all the action. Cup belongs to Native River. and next to him Might Bite. He wins the Gold Cup! I'm still a bit speechless now. it was and how hard it is. Andy Swiss, BBC News, Cheltenham. London but snow is on the way? news teams where you are.